Apple SlushThis liquid is supplied in a 60ml bottle with 50ml of 0mg liquid.VG/PG Ratio: 50VG/50PG..
Cherry SherbetThis liquid is supplied in a 60ml bottle with 50ml of 0mg liquid.50/50VG/PG.. Fat King (nicotine free). Grape and menthol flavour. 50 ml e liquid in a short fill 60 ml unicorn bo..
Mixed FruitsThis liquid is supplied in a 60ml bottle with 50ml of 0mg liquid.VG/PG Ratio: 50VG/50PG.. 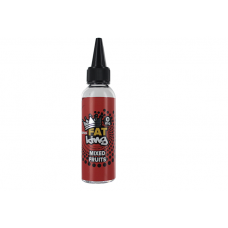 FAT KING RASPBERRYThis liquid is supplied in a 60ml bottle with 50ml of 0mg liquid.VG/PG Ratio: 50VG..
Red MentholThis Liquid Is Supplied In A 60ml Bottle With 50ml Of 0mg Liquid.VG/PG Ratio: 50VG/5.. FAT KING SpearmintThis liquid is supplied in a 60ml bottle with 50ml of 0mg liquid.VG/PG Ratio: 50VG.. 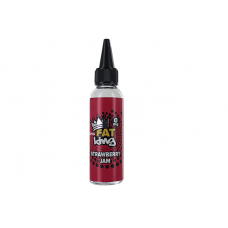 Strawberry JamThis liquid is supplied in a 60ml bottle with 50ml of 0mg liquid.VG/PG Ratio: 50VG/50P..